Reading is is a great way to get ready for bed or nap-time. Simple stories read in a soothing voice while cuddling is a good tool to signal that it is time to be calm and relax. But then little ones have their own agenda. Watch this cutie say no to nap time. Don’t miss our annual Halloween Tales program on Tuesday, October 27th at 6:30 pm. 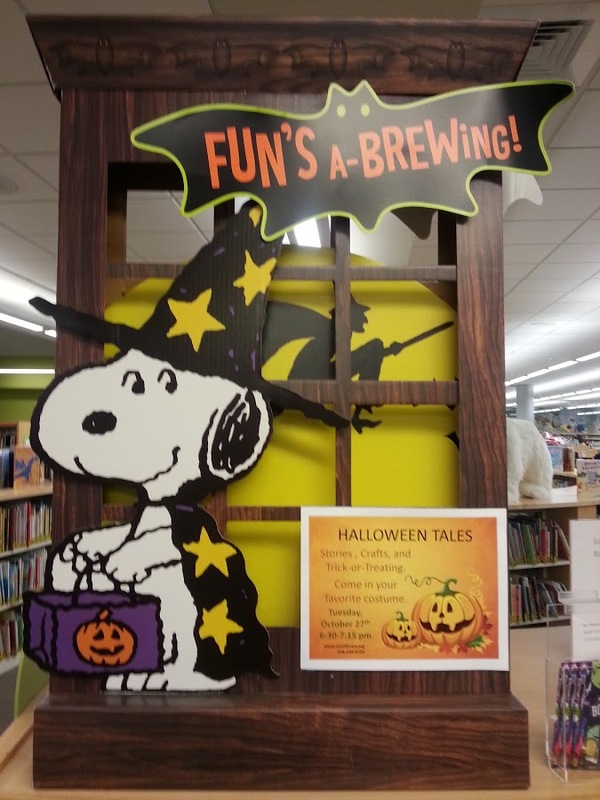 Stories, crafts, games and trick-or-treating in the library! Come in your costume and join the fun. Our story time sessions will begin again on Monday, October 26th. See our calendar of events for the days and times for Baby Time, Tot Time, Two of Us, Three’s Company, and On My Own. Our regular story time will start up again on Monday, October 26th. Next week continues our International Story Time. And on Monday, October 19th at 11:00 am we will have our Costume Dance Party! Yay! I am asked quite often about the music I play in story time and at the dance parties so I thought I would put a list together of some of our favorite shaker songs. If you don’t have a shaker at home follow the link for instructions on making your very own Rainbow Bottle Music Shakers. Have fun shaking it up! Babies Need Words Everyday: Talk, Read, Sing, Play is a program launched by ALSC (Association for Library Service to Children) that provides resources to help introduce more words into a child’s vocabulary. How do we do this? It’s easy! Talk to your child everyday. Tell them what you are doing, where you are going, who you will visit, ask and answer questions. The more words they hear the more words they will know. Read to your child. The Babies Need Words Everday booklist is a handy guide for choosing books. The library has all of the titles listed. Sing to your child. Singing elongates the smaller sounds in words and helps them to learn words more easily. And of course play because play is learning. 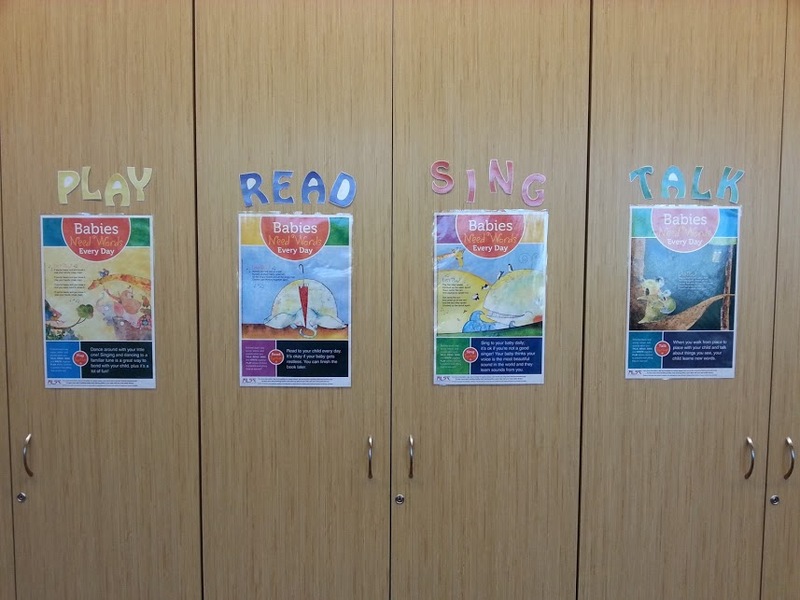 Find more tips check out the posters in the Story Time Room. We are on story time break October 12 through October 23. The next session of Story Time begins Monday, October 26th. During the break there will be International Story Time. Please check the calendar for days and times. Join us on Monday, October 19th at 11:00 am for a Costume Dance Party for kids 18 months through 5 years. What is going viral this week? Found on Huffpost Parents is a parody of motherhood with this mom singing Hallelujah. I’m sure everyone can relate.